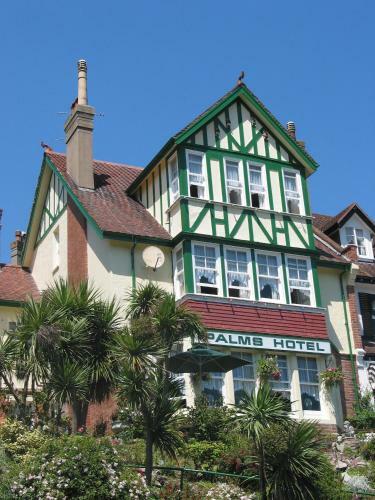 Lock in a great price for The Palms – rated 9.3 by recent guests! The location was great to visit the Torquay Museum. The staff was very helpful and friendly and the breakfast was delicious. The room was very comfortable but a lot of stairs to climb. Not good for those with mobility issues. Amazing breakfast and absolutely lovely staff! Cleanliness 10/10 and very cosy. Would definitely recommend! The location was ideal - on the same road as the bowling alley. 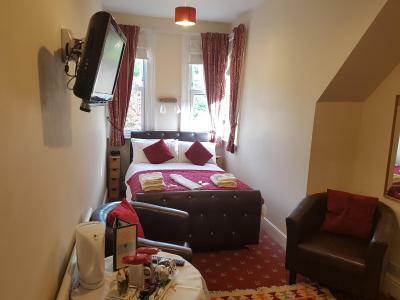 My son was taking part in a junior ten pin bowling tournament and so we were looking for accommodation close by. The room was fine. 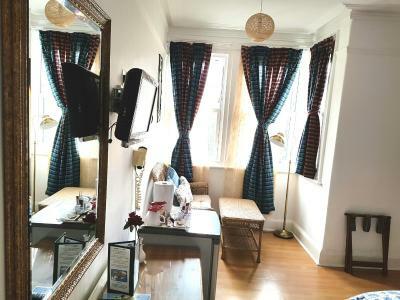 It was small, which was stated in the booking, but that did not cause any problems. The en-suite facilities were very good. The hotel provided a pass for the car park which required a £10 deposit but this was refundable. The owners were very friendly and helpful. The place was clean and comfortable for the price, but the part that made it excellent was the service. My host (Lena) was wonderful! Lovely friendly hosts, great breakfast, will definitely stay again. The breakfasts were lovely - freshly cooked and hot always served by a lovely smiling Lena. The location was ideal for us to access buses (very regular) to various parts of the coast for us to enjoy walking the coastal path. 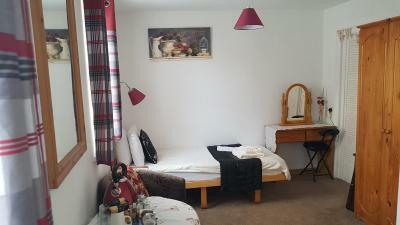 The owners were very friendly and the room very clean and cosy. Great location and the lady running it was absolutely lovely! 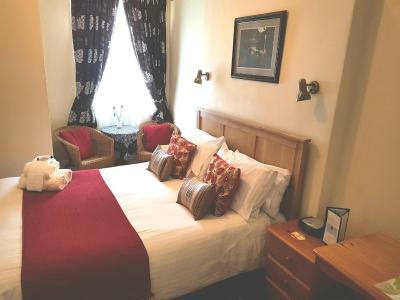 We had a family room for 3 of us and had plenty of room to move around and true beds were really comfortable. Was also great to have a fridge in there too. The Palms This rating is a reflection of how the property compares to the industry standard when it comes to price, facilities and services available. It's based on a self-evaluation by the property. Use this rating to help choose your stay! 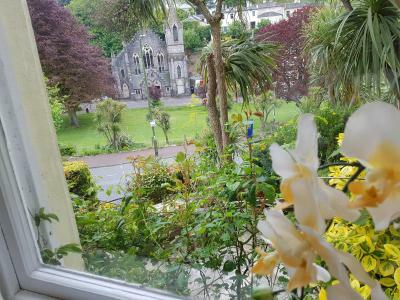 This Edwardian guest house is set back from the main road, looking out over the lovely Torwood Gardens. It has free parkin and free WiFi. 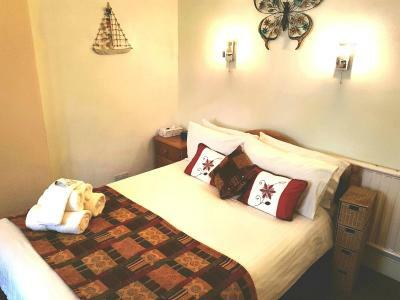 All rooms have an private bathroom with shower, 19-inch flat-screen TV with DVD player and tea/coffee making facilities. Most have views of Torwood Gardens. 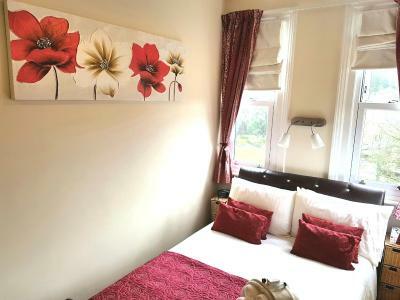 A full English breakfast is served each day and vegetarian and continental breakfasts are also available. The Palms has a guests' lounge with free access to a computer with internet. 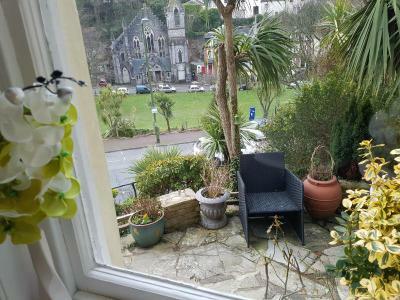 The Palms is 1,650 feet from Torquay harbor, the beach, shops and entertainment. 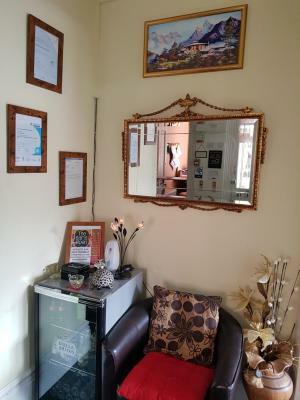 뀐 Located in the real heart of Torquay, this property has an excellent location score of 9.4! When would you like to stay at The Palms? 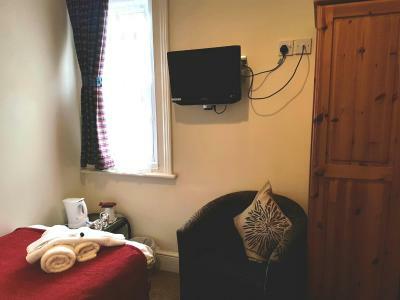 Small Double Room with a modern private bathroom, flat-screen TV and tea and coffee-making facilities. Also includes free Wi-Fi and a hairdryer. 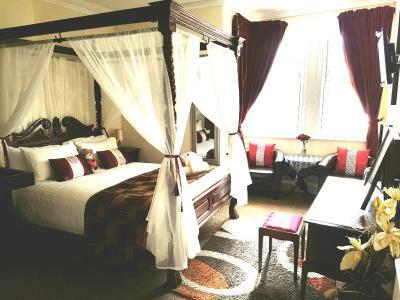 The room has a four-poster bed. Sparkling wine is available for an additional fee. 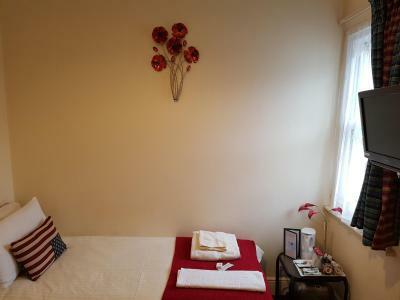 Twin Room with a modern private bathroom, flat-screen TV and tea and coffee-making facilities. Also includes free Wi-Fi and a hairdryer. 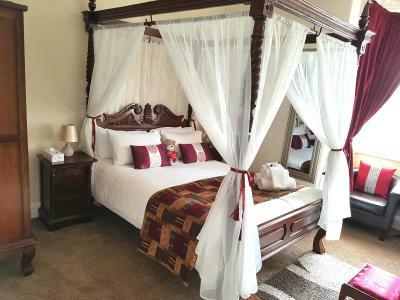 With a full private bathroom, this room features a flat-screen TV and tea and coffee-making facilities. Also includes free Wi-Fi and a hairdryer. 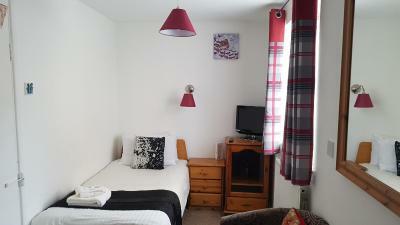 Double Room with a modern private bathroom, flat-screen TV and tea and coffee-making facilities. Also includes free Wi-Fi and a hairdryer. 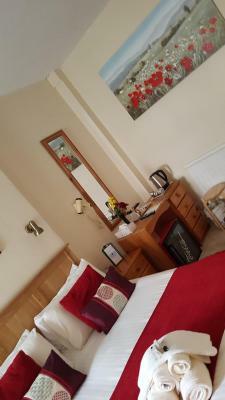 Friendly atmosphere, close to the town center, comfortable rooms, helpful staff - comprehensive breakfast. 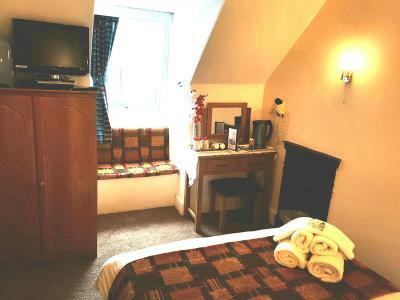 Plus free parking at the rear or at our auxiliary car park which is just a two minute walk from the Guest House. 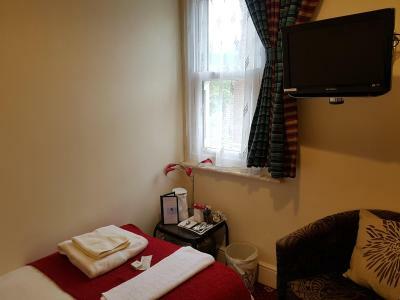 All this at a very competitive price which is a lot cheaper than than most chain hotels and without any hidden extras what you see is what you get. 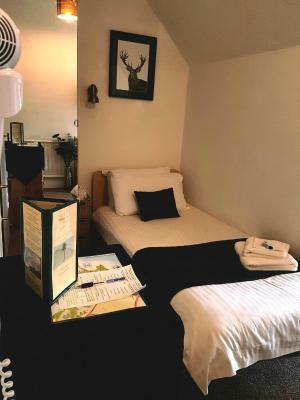 Please note this Guest House is not suitable for people with walking difficulties because of the number of steps to and in the Guest House we also do not have a lift. House Rules The Palms takes special requests – add in the next step! A GBP59 damage deposit is required on arrival (around USD76.99). This deposit will be fully refunded at check-out, as long as there isn't any damage to the property. The Palms accepts these cards and reserves the right to temporarily hold an amount prior to arrival. 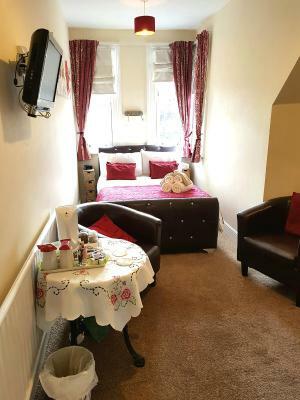 Please note that this property does not accept bookings from stag/hen parties. There is no elevator at the property. 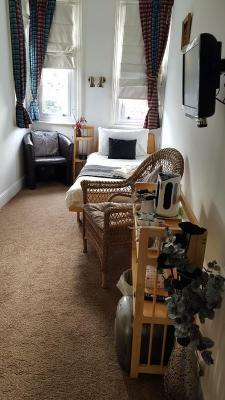 The property may not be suitable for guests with mobility issues. A damage deposit of GBP 59 is required on arrival. That's about 76.99USD. This will be collected as a cash payment. You should be reimbursed on check-out. 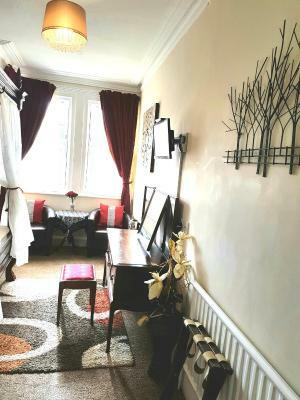 Your deposit will be refunded in full, in cash, subject to an inspection of the property. We wish we could’ve stayed longer than one night! I can honestly say that there was not anything we did not like about the hotel. I think there might have been a problem with the WiFi router by my room.. Likely fixable, it didn't bother me enough to bring it up with the host at the time! 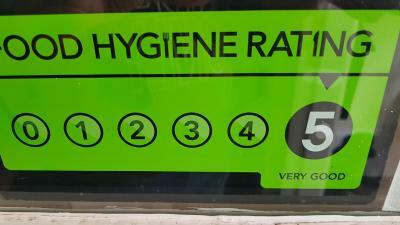 The food and the staff were very good. Our room was cold after we had been out for the evening, but we had to leave early due to family reasons so didn't get a chance to tell the owner but would stay again. The bathroom was lovely and clean but the electric shower was very slow. And in the morning was very intermittent. It’s a shame as otherwise the room was fab! The propriaters are very welcoming and professional.